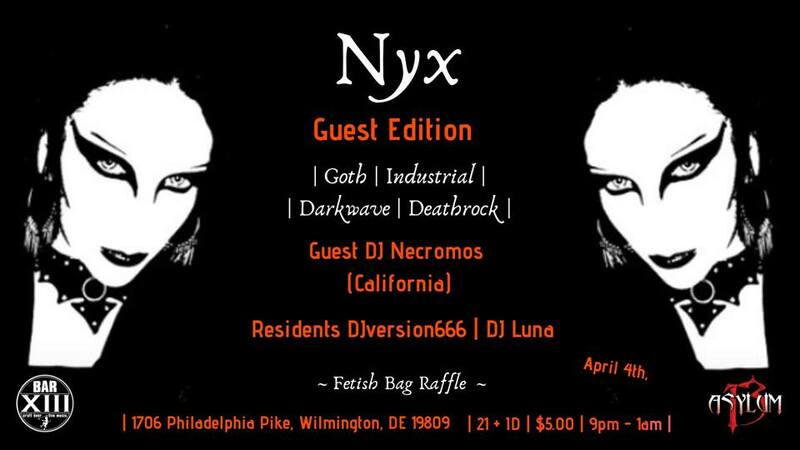 Catch the next edition of Nyx, April 4th, 2019, Every first Thursday of each month at Asylum 13: Thursday Night's Dark Beat Party at Bar 13. 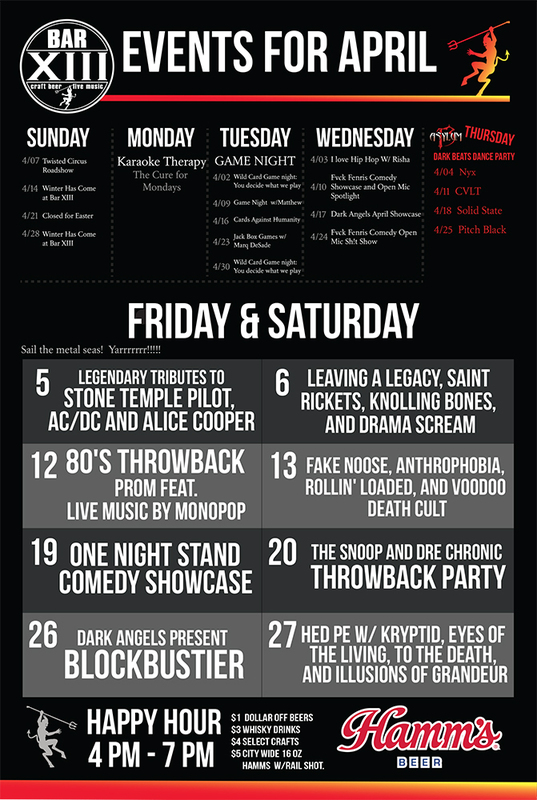 Resident DJversion666 and Guest DJ Necromos (Resident DJ Batcave (San Francisco) and Apparition (San Jose). Spin a web a of dark lights including industrial, gothrock, deathrock, darkwave, EBM, synth wave, and post punk. Party starts at 9:00 PM, 21+, $5.00 at the door. Fetish bag raffle at midnight.